This coming week is an important one for me. February 7th. The day when my cookbook is officially released. And for a preview, visit this link. In any case, for all of you who already have a copy, or will receive one soon, many many thanks for your support. You make a difference. I know well that my book took its time to come out. After all, I announced it already in January 2009! But it was worth the wait as I am really happy with the way it came out. It is ready. Cuit à point. One of my challenges was to accept the fact that not every single one of my recipes would go inside the book (I know, Sara, this book would be so long…); It was also to refrain from wanting to redo every picture; and accept the fact that I would not have all the pictures that I wanted inside either. I think they are good ones. 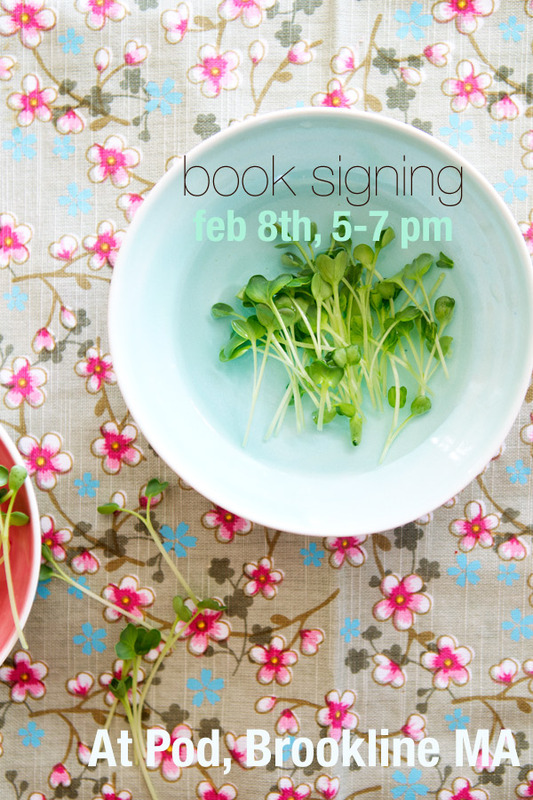 On Wednesday February 8th, I will have a book signing at a lovely boutique called Pod, in Brookline village, from 5 to 7 PM. There will be treats. If you live close to where I am, I hope to see you there. Looking forward to seeing a copy in my kitchen! Congratulations! I’m so happy for you. Don’t forget to enjoy every step of these great moment in your life. I wish I did live close…and congratulations on the upcoming release of your book! Felicitations ! Ce doit être un grand moment pour toi et une grande fierté. Je ne te suis pas depuis très longtemps mais assez pour voir que ton travail est immense et ton investissement aussi pour ce qui anime ta vie. Tes photos sont absolument magnifiques et ton talent mérite ce qui arrive aujourd’hui. C’est une simple évidence. this is so exciting! yay! Bea, i am so happy for you! i hope you are going to do a cross country signing. enjoy every moment of book 1… and for every picture and recipe that didn’t make it, hopefully there will be a book 2.
you are a very talented! Congratulations, Béa! I’ve pre-ordered your book and am waiting for it to arrive. je vous lis (dévore) depuis de nombreuses années. Le cookbook est en route vers ma boîte aux lettres ! J’ai hâte. Merci pour ce blog enchanteur. Congratulations! That is so great. Tebrikler! Now, I will have to figure out how to order it in Turkey! Hopefully, I can convince some friends on their next travels to bring it back for me. I’m sure it is as beautiful as your blog! Congrats Bea!! I’m sure the book will worth the wait! Two humbs up plus tous ceux de ma petite famille 🙂 Gros bisou à Lulu qui a une chance formidable de t’avoir pour maman! 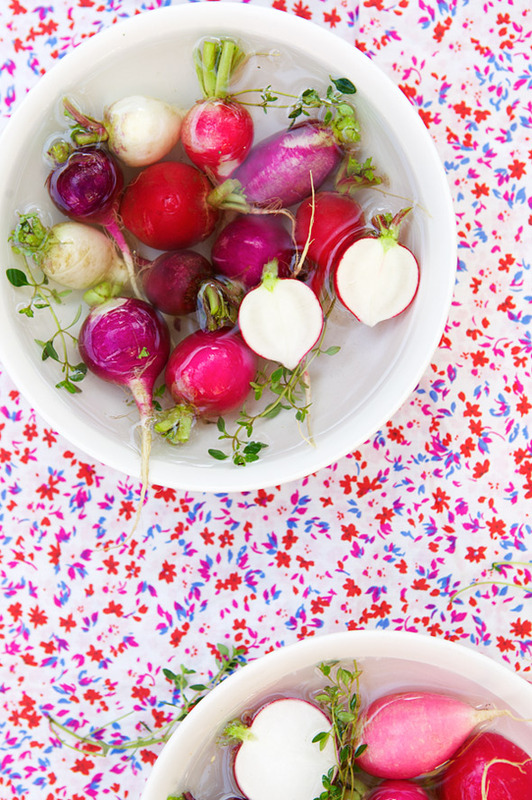 I’m totally mesmerized by those radishes on the pretty fabric. the colours have made me dizzy with delight. Le grand jour est arrivé alors ! A smashing success, I’m sure!! What a lovely book!! Sonja, that’s so nice of him. I am delighted to hear! It’s a pity that you’re in the other side of the ocean! But I made my pre-order a few weeks ago so I so excited to recive my new book! J´ai hâte d´avoir ton livre!! Malheureusement ça prendra du temps jusqu´à ce qu´il arrive car j´habite au Brésil! Your book arrives tomorrow!!! I’m so excited. Congratulations! Will you ever come to Houston? Bravo, félicitation, congrats!!! YOUR picture’s and recipes are Tout Simplement… Magnifique;)) Enjoy the moment… Can’t wait to have YOUR book!!! Amazon knows our address – can’t wait to place my order. I love your photos so much. So pleased AW, many thanks! I hope you love it! Pourrons-nous avoir ton livre au Québec? Et sera-t-il traduit en français? Bonne journée Béa! Miss Diane, oui, dans les librairies Indigo, si il y en a qu Québéc? Thanks so much Karine. That’s a very sweet comment and compliment! Congratulations! I got your book as a birthday gift in November from my sister. I cook from it almost every week, and am not sure how I got along in the kitchen without it ;). Thank you so much for bringing lots of culinary happiness to my home. Melanie, this makes me *so* *so* happy to read. Really! When I am able to sneak inside someone’s kitchen with my recipes, I feel fulfilled. Congratulations! I was so excited to see my pre-order copy was coming tomorrow! Béa, I was so eager to attend, that I went yesterday! What a dork! You are just too funny Pato! I want you to come back on Wednesday! WOW!! We are all so excited hear at La Belle France to have a copy of our own. Congratulations and we’ll have to get you to write for us sometime! So exciting! So happy for you – it looks beautiful. Just pre-ordered it from B&N since I have a gift certificate. Happy Book signings! Je me suis précipitée dans une librairie pour acheter le livre en sortant du travail. Oui, oui, il est aussi disponible à Montréal! J’ai déjà fait plusieurs recettes du blog, et j’ai très hâte d’essayer celles du livre. Merci de créer de délicieuses recettes sans gluten pour le plaisir de mes papilles et de celles de mes amis. I got the book today. It is so beautiful and indeed inspiring! You did a wonderful job!!!! I hope you’ll come to Seattle. Anne-Catherine, j’en suis super ravie. Merci à nos cousins canadiens! On me demande dans quelle librairie à Montréal ? Congratulations Bea, I am very happy for you. Bravo, ça faisait deux moi que je patientais pour acquérir ton ouvrage et là tout de suite dans un grand moment de paresse je me demande « sera-t-il traduit en français » ? As-tu vendu les droits pour la France et dans l’affirmative, y a-t-il une date de publication ? Sandra, j’espère qu’il arrivera en France bientôt! 😉 Merci de ton gentil mot. C’est toujours avec grand plaisir que je me rends sur votre site, vos recettes sont toujours très créatives, vos photos magnifiques et votre univers très inspirant… Félicitations pour votre livre, cela doit être un grand moment pour vous ! Feliciations Bea…. Le livre devrait bientot etre dans ma boite aux lettres… J’espere que tu sillonneras la nouvelle angleterre pour avoir une dedicace!! ( connecticut!). This is stunning newa Bea, congrats! My copy of the cookbook arrived yesterday; I just wanted to say that it is nothing short of stunning. Additionally, I love that the recipes are almost entirely gluten-free and vegetarian. This is hands-down the most perfectly crafted book I’ve purchased in years. I can’t wait to make the recipes! Je suis ravie, je veux l’avoir! Juste une info: est-ce que les ingrédients sont exprimés en grammes ou bien en cups? Et félicitations pour ce livre de poésie. I am so happy for you! I have ordered a copy on Amazon and hope to receive soon!! ZE bestseller de l annee hein…. OMG! I just got my book from Amazon and I’m in love, love, love! I’m so excited to have it in my hands! Congrats and I so wish I was near Boston! So glad to have made it to the Pod hosted book signing. I bought my second book – this one for a friend. My first is already well worn. Bea, so nice to chat with you about amaranth vs. millet flour! It was such a treat. Thank you! Your book looks incredibly beautiful. I want it! Will you be signing books in NYC any time soon? Bravo Beatrice! I met you at TechMunch and am so happy to see your beautiful book is out!!!!!!!! Proficiat met je boek en je prachtige website ! I LOVE it! Congratulations on this wonderful and inspiring book. It arrived in Germany via Amazon only 2 days after it was released in the US. Your story about cooking on an Island in OZ reminded me a lot of my own experiences in down under. My australian friend back then did teach me how to bake a bread in a tin over an open fire. Very basic, very tasty! Thanks for the book it’s a good read, has the most beautiful pictures and best of all lots of tasty recipes to start new kitchen adventures. aah i wish i could be there! wrong coast! your book is absolutely gorgeous! Bravo ma Petite Béa! congratulations! vivement l’arrivée en France de cette Perle! Vite… vite, j’ai hâte d’exécuter tes recettes. J’espère que ton livre sera aussi bien que ton blog que j’adore depuis longtemps et qui me fait faire des progrès en anglais. Bizous à ta petite Lulu. Ca y est, il est enfin arrivé dans ma boîte aux lettres! Je n’ai pas encore essayé les recettes, mais il est très beau. J’ai bien rigolé en y voyant la recette des carottes râpées! I would like to introduce myself as a loyal reader and follower of your blog latartinegoumande. I’ve been impatiently waiting for months for the release of your new book ‘Recipes for an inspired life’. I’ve happily received your Book yesterday and of course I had to start reading it immediately. I’m really overwhelmed by this gorgeous book! You have been inspiring me with your photography, your recipes and your stories for a long time and therefor I want to thank you. I’d have loved to participate in your food and styling photography workshop in France this May but I will be spending a couple of weeks at that time in the Basque Country with my husband. It’s really a pity for me but I’m truly confident you will repeat your workshop at a later date. In the meantime I’ll keep reading your blog, admiring your flickr photostream and now trying the ‘Recipes for an inspired life’ with enthusiasm. Thanks so much. I am so pleased to read that you like the book. I hope it will inspire you in the kitchen, and that yes, we’ll be able to meet at some point inside a workshop. Enjoy what seems like a great vacation! The very best of luck withyour book, it must be an amazing feeling! I am aiming for the same! I have written a book and then started blogging. The my friend has offered to take the pictures for me, so things are moving at last! I hope it sells really well, I LOVE your styling!! I ordered your book pre-publication and it felt like Christmas when the book arrived a few days ago. It is a beautiful book! Last night I prepared the “Potato, Jerusalem artichoke, spinach, and asparagus frittata with cumin”, following your great instructions. The vegetable section of the store that I shop at, hadn’t heard of Jerusalem artichokes so I added more potatoes. I also substituted red chard from my garden for the spinach and it worked. Other than that it was the same. It was a Magnificent dinner with french bread and a delicious petit syrah and your frittata. I loved your pictures of food. My family is in for such good eating. P.S. I will find those chokes – and all the different flours your mention in your tarts. I just received your book in the post today and it is just as I had dreamt it and more! Il est superbe, un vrai bijou! 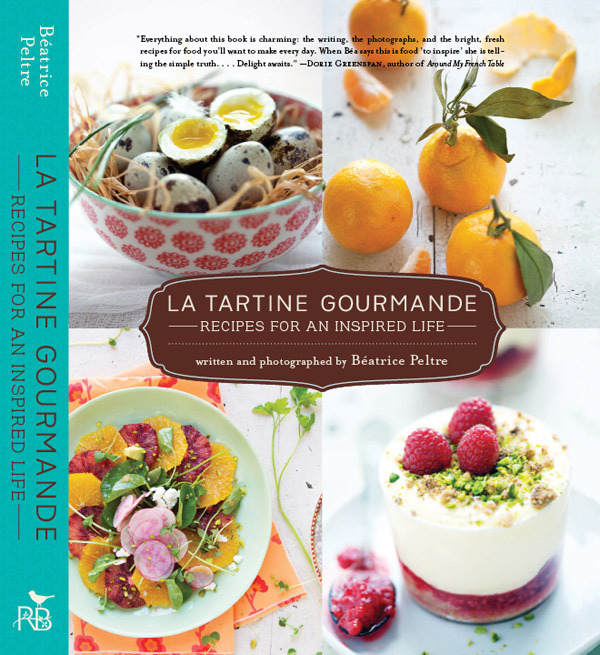 I can’t wait to try one of your recipes in my kitchen in Haute-Savoie. I discovered your blog today, and I was filled with joy while i scrolled through your pages. I’m a college student, and I suffer from empty pocket syndrome, but I dream of the days that I can be free to buy fresh produce of all shapes and colors, and cook like you! you’re recipes remind me of my grandmother and great aunts (all french) they cook with the passion that you do. You inspire me! Thank you for sharing such wonderful recipes, I hope to cook like you one day! Un livre qui inspire, c’est certain. Qui stimule aussi. Direction la cuisine! Merci pour cet élan d’air frais. Congratulations! I hope I will find it online! Congratulations! Yesterday, your book arrived to my mailbox ad it’s oh so exciting! Reads like a gripping novel. It even exceeded my expectations. 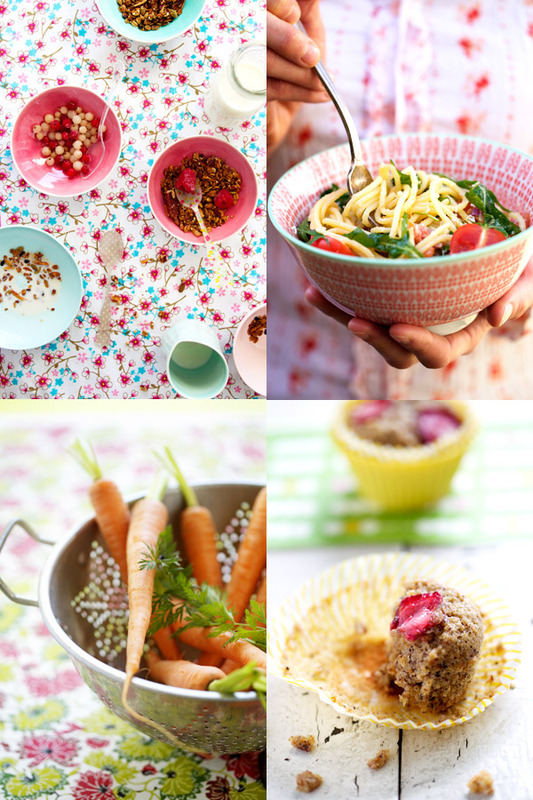 Going grocery shopping and try out some of these luscious recipes! Thank you. Your book arrived today, horray! It is just stunning, beautiful and inspiring, thank you! Your buckwheat, almond and chocolate cake is in oven, and we’re having stuffed aubergines for dinner, I can’t wait! I’ve been plunging into your gorgeous book, as it arrived this morning, and I’m so excited about it. 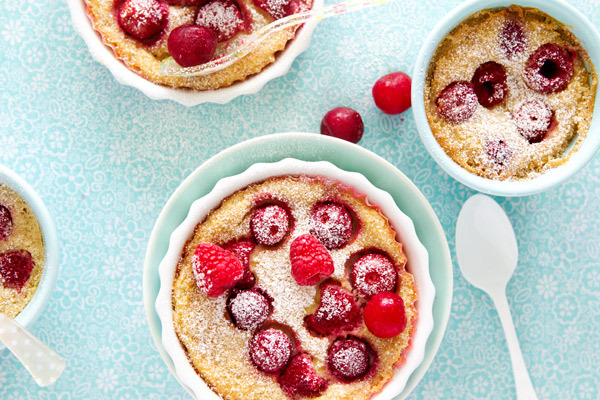 Thank you for all the beauty, inspiration… and all the gluten free cakes!! For some years I’ve really enjoyed adapting traditional wheat recipes for my gluten intolerant boyfriend (as you say, it’s a bit like cooking in a fun, creative science lab). But I’m also happy now to have some recipes I can just follow and know they will be delicious! Congratulations! I’m so happy for you. The pictures are so beautiful. Barbora, very pleased. I hope you enjoy it! Hi Bea! I am so excited to receive my book and tab the pages! I’m starting to dust off my go to recipes and learn something new! Thanks so much! Béa, I have just received the amazon package with your book! It took a while but it´s finally here! It´s beautiful, I am so excited and looking forward to reading it and trying the recipes! Merci beaucoup. Je suis ravie de voir que cela vous ait plu à toutes les deux!